On November 25, 2013 a ribbon cutting was held by District 1 Choctaw County Commissioner, Ronnie Thompson, to celebrate the grand opening of the Crowder Creek Bridge. The Crowder Creek Bridge is located on EW 203, 1.3 miles west of US Hwy 271. Attendees of the ribbon cutting included Senator Jerry Ellis, Commissioner Ronnie Thompson, AJ Thompson, John Winters with Circuit Engineering District #3 and engineers, John Blickensderfer and Rebecca Alvarez with Guy Engineering. 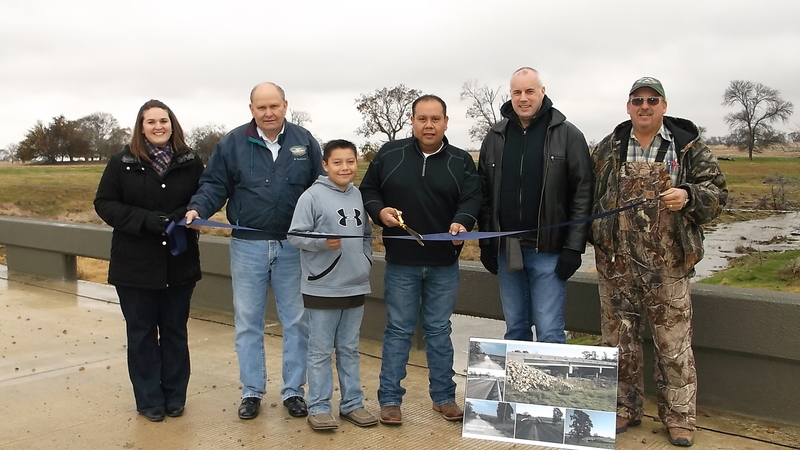 The new bridge replaces a low water crossing that consisted of 5 corrugated galvanized steel pipes and flooded frequently. The new bridge is a 3 span 110 ft long Pre-stressed Concrete Beam bridge and is at a considerably higher finished roadway elevation. The bridge was designed by Guy Engineering Services, Inc. in Tulsa and constructed by HUB Construction, Inc. of Boswell, Oklahoma.